January 03, 2018, 9:26 a.m. It was suggested that both firms have policies that on occasion oblige waiting staff to compensate for any discrepancies between takings and the bill the staff member is responsible for. Pizza Express responded by stating that it is part of the terms and agreements in their employee’s contracts that the company can recoup money to make up for shortfalls, but this would happen via payroll and not from waiters’ tips or personal cash. But what do the public make of it? Consumers can be unforgiving to brands that are accused of lacking transparency, or those that have not been upfront about working practices. At the very least, the story got people talking. 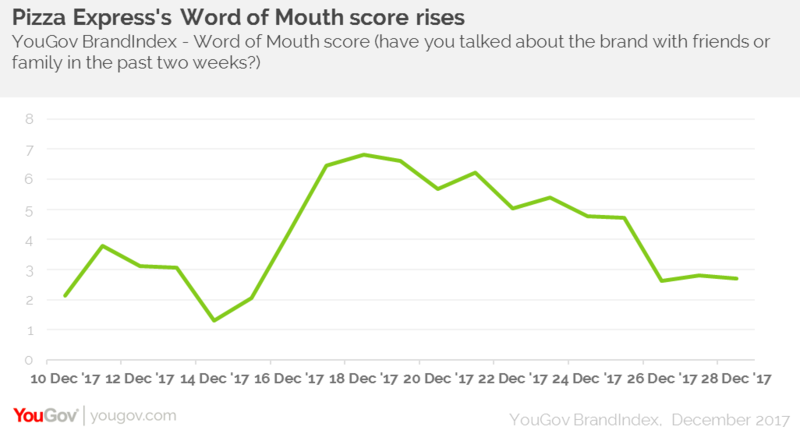 YouGov brand tracking data sees this reflected in Pizza Express’s word of mouth score (whether someone has talked about a brand with friends and family over the past two weeks), which jumped from four on the day the news broke (16 December) to seven at its highest point on the 19 December. YouGov’s ‘Brand Boycotters’ report suggests that unfair treatment of staff is one of the top three reasons people will leave a brand, and it can be hard for brands to regain the public’s trust. Only one per cent of those who have boycotted a brand say they would go back to it and use it as much as before they shunned it. Almost seven in 10 (67 per cent) of those who have stopped using a brand for similar reasons have not used it since. However, this time, both chains appear to have escaped without too much reputational damage. Pizza Express’s purchase intent score (which measures which brand someone would be most likely to purchase from against others in the same sector) has returned to its previous score of four after dipping just slightly, while Zizzi’s has stayed around the same level at two. 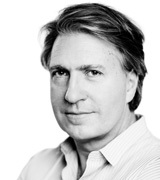 While the claims haven’t proved too harmful for the brands in terms of consumer perception, they will both be wary of generating any more adverse headlines.